As part of Saan Sa PH (SSPH) grand meetup, I get to dine in at Mango Tree Bistro in Greenbelt 3, Makati. 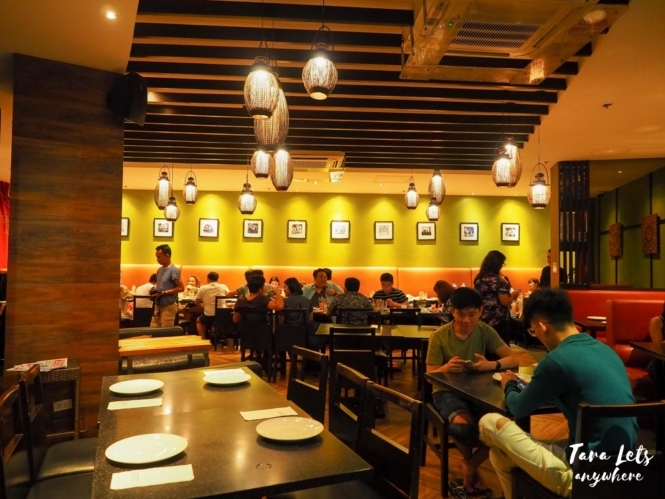 Mango Tree Bistro is a casual dining restaurant offering authentic Thai cuisine. It has been in operation since 1989 and is a favorite among those who like authentic Thai food in the mid- to upper-mid budget. 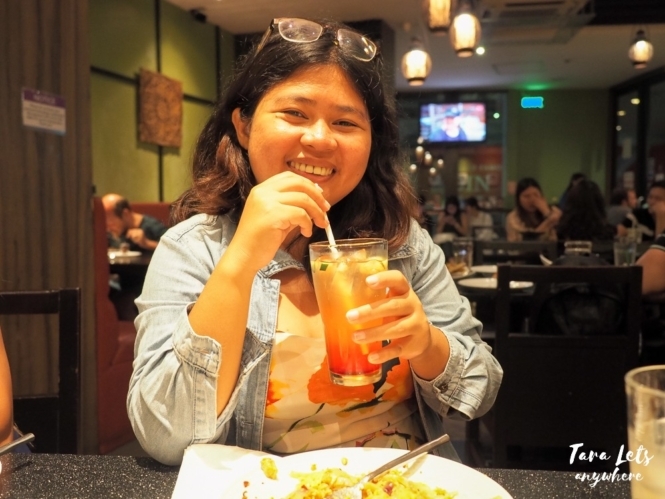 Here’s my food experience & review of Mango Tree Bistro! We were given selected bestseller items in the menu. A lot of their items are good for sharing already. We had catfish salad (P180), which contains catfish flakes and green mango salad which you have to mix together. This one has a very unique taste, it took 3 bites for me to tell whether I like it (I do). The catfish flakes remind me of okoy. It’s shallow fried and crispy, and it tastes well with the sweet-tart slices of mango. We also had panang curry chicken (P420). This is my favorite dish in Mango Tree Bistro. It tastes very authentic and similar to the one we had in Koh Lipe. 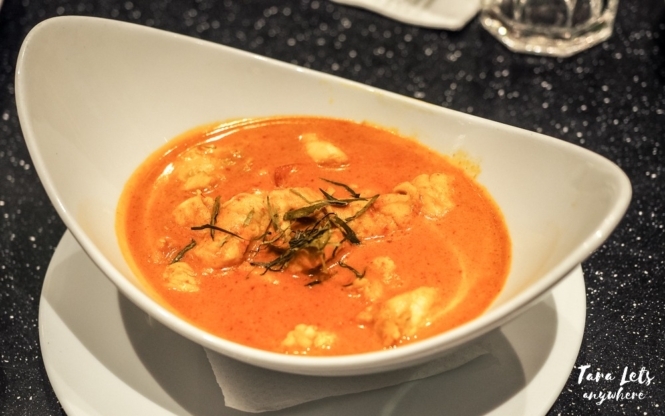 It’s creamy, spicy, and the curry has a very rich flavor. You can eat it alone or with rice. We also had vegetable phad thai (P320), which is a type of rice noodles. Again, I like this one and then again it’s hard to make a bad phad thai. 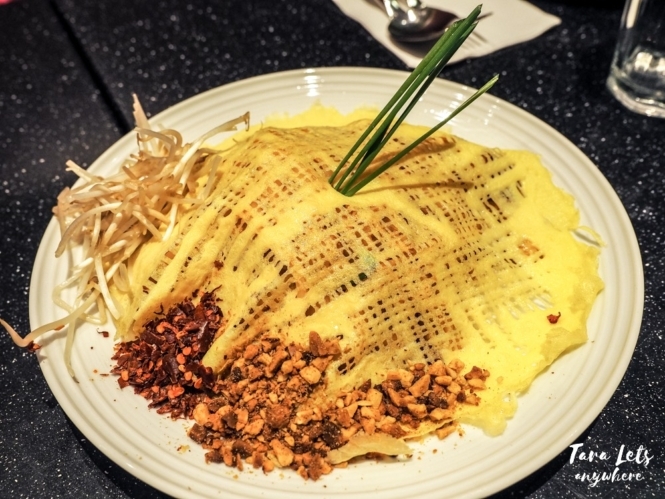 It’s served with egg on top and chilli flakes on the side which you can mix in. I prefer the phad thai without the chilli, as it was too spicy for me (I prefer mild spicy dishes). Still, this one is good and highly recommended for ordering. The next one would be tom yum chicken wings (P290). The breading for the chicken wings was very flavorful and this is a good alternative to your regular chicken wings. 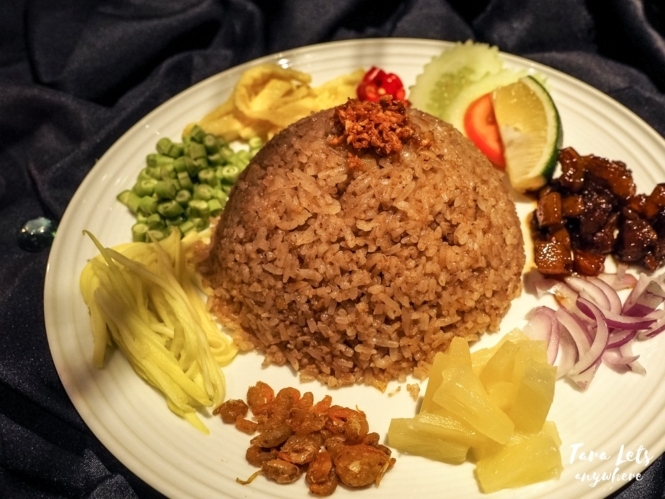 Another favorite of mine is the shrimp paste rice (P300). The rice is served with the ingredients on the side, such as sweet pork, pineapple, cucumber and mango. You have to mix them all together. It’s very delicious even though the portion of the sweet pork is just small. 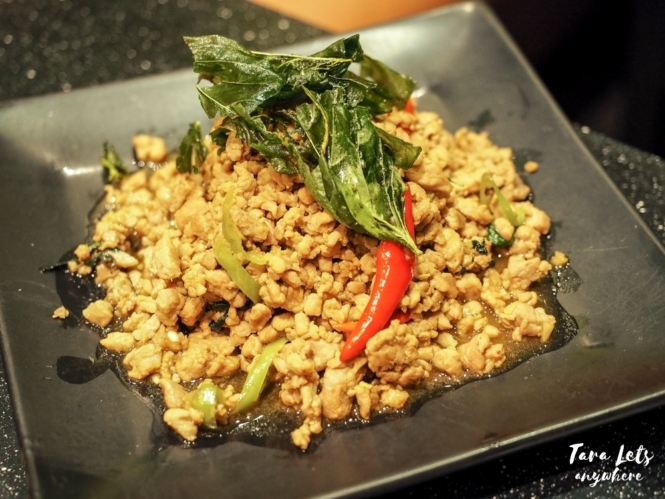 Our last dish was stir-fried pork with holy basil (P380). This one is okay, though for me it doesn’t really have that “wow” factor. Among the main dishes we’ve tried, this is probably the one I won’t order again. For dessert, we had bua loi (P180). It’s made of glutinous rice flour and quail eggs, in coconut milk and sugar. It’s the first time I had bua loi and I love it. It reminds me of bilo-bilo, but creamier with a hint of cheese (?). That’s what it tastes like to me. Anyway, it’s delicious and I recommend for you to try it as well. For non-alcoholic coolers, I had Cooling Cucumber Line (P120) and Watermelon Breeze (P120). I really like cucumber drinks because they’re refreshing, but their Cooling Cucumber Line is a no for me. It’s too flavorful and it tastes like soda, I didn’t really get the refreshing effect of cucumbers. I prefer the Watermelon Breeze, which is basically a shake. It works to cool down the spiciness left in my mouth. 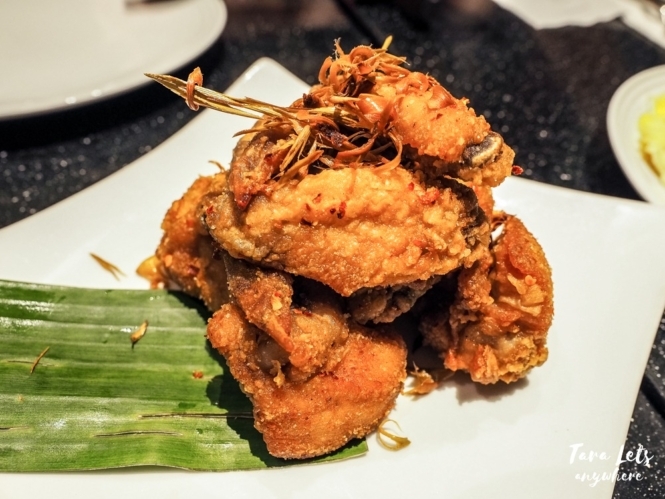 Overall, the Thai food in Mango Tree Bistro is delicious and authentic tasting. 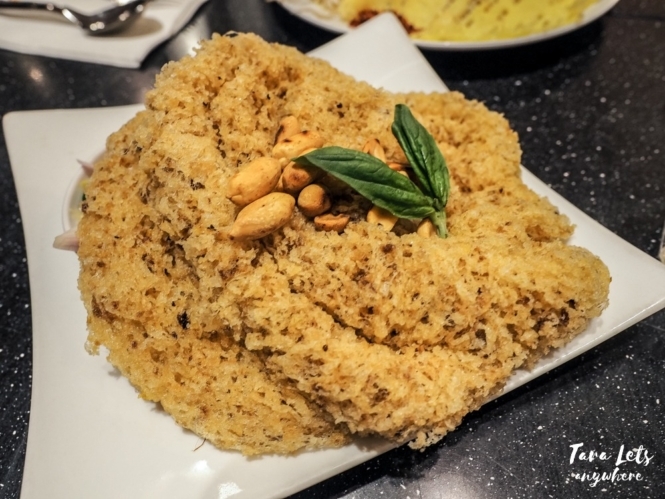 If you’ve been to Thailand, the flavors will definitely remind you of your trips there. If you like Thai cuisine or want to expand your palate to other Southeast Asian dishes, I definitely recommend going to Mango Tree Bistro. Mango Tree Bistro in Greenbelt. Make sure to follow them in their social accounts to get notified about ongoing promos. Disclaimer: Thanks SSPH for organizing this dinner and Mango Tree Bistro for feeding us! As always, all thoughts and opinion are my own. 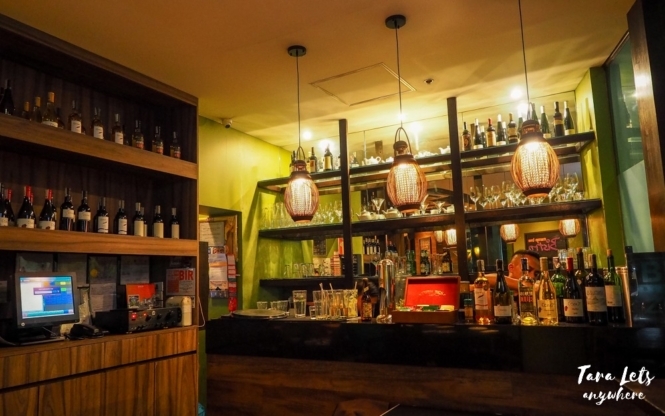 Have you been to Mango Tree Bistro? 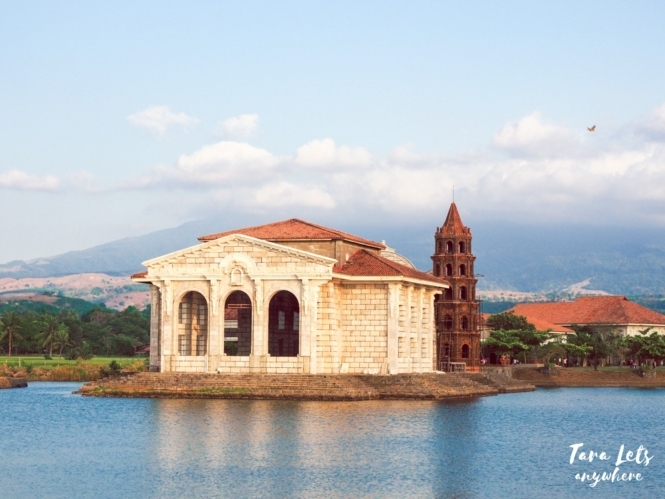 What’s your favorite Thai restaurant in Metro Manila?